The Global Executive MBA of EADA and HHL is designed to prepare you to work in a globalised and highly competitive business environment. It guides you to a level of self-knowledge which is indispensable to successfully continue your management development process. The program combines state-of-the-art management knowledge and skills with an international orientation. It will help to develop the participants’ analytical as well as interpersonal skills in areas such as communication, team management, project management and negotiation. EADA and HHL have developed their own practical, active and participatory approach with an emphasis on “learning by doing”. The methodology reflects companies’ demand for professionals with skills such as the capacity to reflect, the ability to act in the face of change, the versatility to work in multifunctional teams and the adaptability to face the challenges of a global environment. These competencies are trained through the Case Method, business projects, business simulations, analysis and discussion groups and team-working activities. Participants are consistently placed in real-life business situations and forced to think like executives and make strategic decisions. You will gain management skills to accelerate your professional and personal development. This leads to a competitive advantage for both you and the company in which you work. The Global EMBA program is taught at EADA and HHL as well as at top ranked partner institutions in Brazil, China and India. It is designed as a modular program, starting in October 2012 and finishing in March 2014. The curriculum of the program is structured into three major parts: core modules, elective modules and the master thesis. Courses take place during 10 residential weeks (6 days each) in different locations. While the core modules are taught at HHL and EADA, participants will select 2 of the 3 elective modules at partner universities in Brazil, China or India. It is also possible to attend all 3 international modules. programmes to the business community. very first business schools in the world. key role in its educational approach. as its outstanding student services. For more information about Global Executive MBA Program of HHL and EADA, please submit an information request below and the school will contact you with further information. As part of the admission process the candidate will have an interview with one of the Program Directors, either via audio skype or – if you are in Spain or Germany – at EADA resp. HHL. Both HHL and EADA have a strong commitment to quality and continuous improvement is confirmed by the three top accrediting organisations for business schools worldwide. The Financial Times ranked HHL No. 59 in Europe (4 in Germany) and EADA No. 27 in Europe (4 in Spain). The Financial Times ranked HHL’s full-time M.Sc. Program No. 3 in Germany and No. 19 worldwide (No. 1 worldwide in the specialization entrepreneurship and No. 4 in terms of salary). 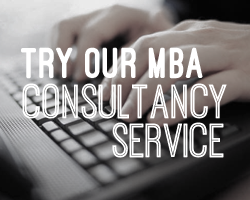 Tuition costs for the Global Executive MBA Program are EUR 41,000 for the entire program. Half-board accomondation and course materials are included in the tuition fee. HHL and EADA are offering several scholarships for outstanding candidates whose profiles will help further the programs objectives as a vehicle for promoting international leadership and business practice. All scholarships are awarded on merit. EADA and HHL have their own practical, active and participatory approach with an emphasis on “learning by doing”. The methodology reflects companies’ demand for professionals with skills such as the capacity to reflect, the ability to act in the face of change, the versatility to work in multifunctional teams and the adaptability to face the challenges of a global environment. These competencies are developed through the case method, business projects, business simulations, analysis and discussion groups along with team-working activities. You will constantly work on real-life business cases and make strategic decisions. The curriculum of the programme is structured into three major parts: Core Modules, Elective Modules and the Master Thesis. Courses take place during 10 residential weeks (6 days each) in different locations. 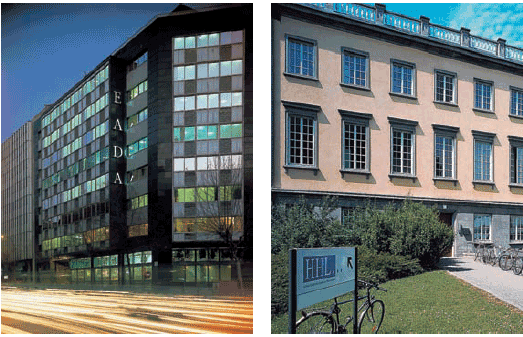 Fill out your details to find out more about Global Executive MBA Program of HHL and EADA.